In Havana, Cuba in the late 1950s, a wealthy family, one of whose sons is a prominent night-club owner, is caught in the violent transition from the oppressive regime of Batista to the oppressive Communist government of Fidel Castro. Castro's regime ultimately leads the night-club owner to flee to New York City. Alberto Mora: A message from Pelico. As an American of Cuban parents, I had always heard the political rhetoric about Cuba as I was growing up. All the while I longed to see this beautiful island which my parents sadly left behind. 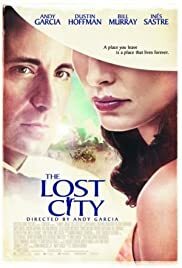 Though Andy Carcia's film was not filmed in Cuba (it was filmed in the Dominican Republic) it gave me a chance to see a "Cuba" I had only heard about. As for the film itself, the conflicts of family, politics and love in the film is beautifully portrayed to reflect what has been a painful truth to a great number of Cubans. I definitely recommend this to all, Cubans and non-Cubans alike. I hope Mr. Garcia gets due recognition for this beautiful body of work. By the way... Is there an accompanying soundtrack album? The music was phenomenal! 115 of 151 people found this review helpful. Was this review helpful to you?